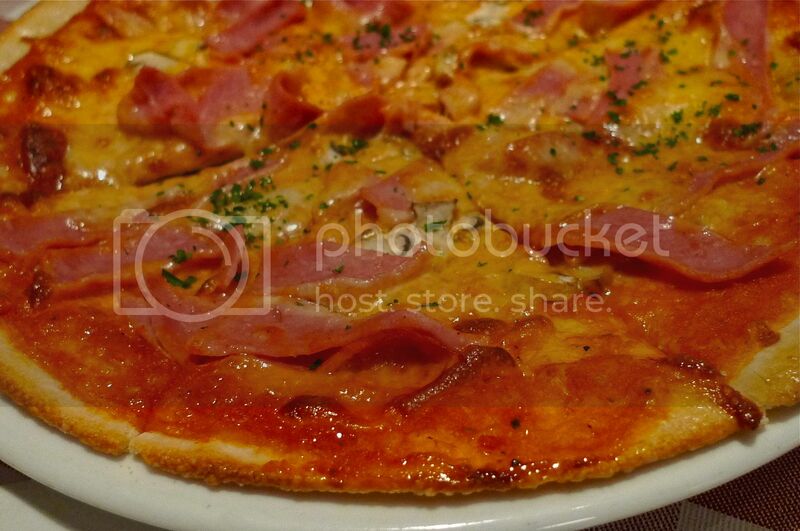 Last weekend, my family and I went to Italiannies at The Curve for dinner. I had not been going to Italiannies for quite a long time. My previous visit was at its outlet in 1Utama shopping mall - and that was probably more than one year ago. 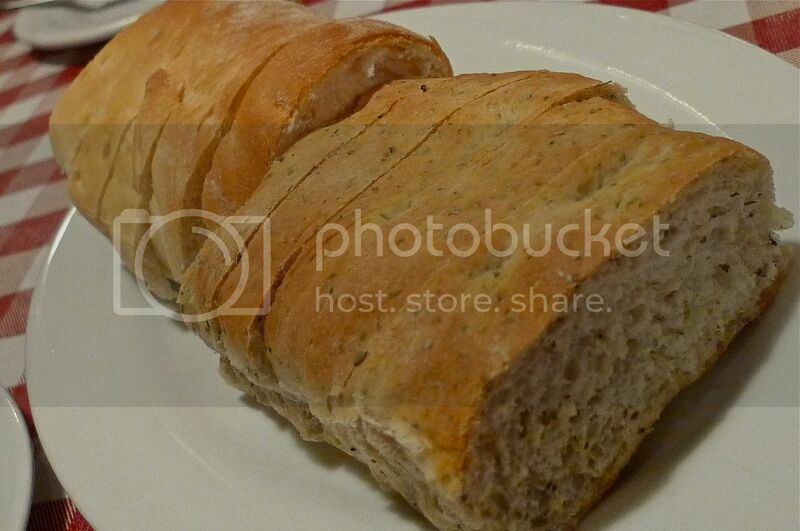 I still remember how much I liked their complimentary bread dipped into vinegar and olive oil last time. It was the same this time. Still loving it! 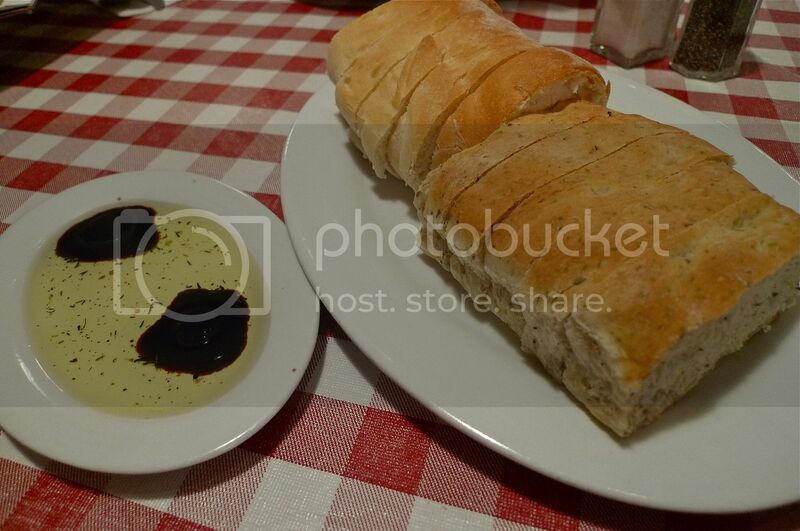 In fact, I think I can just eat the bread with the vinegar and olive oil as the main meal by itself and order nothing else! LOL! I wonder if they still give the same amount of bread if I were to go and eat there alone all by myself? 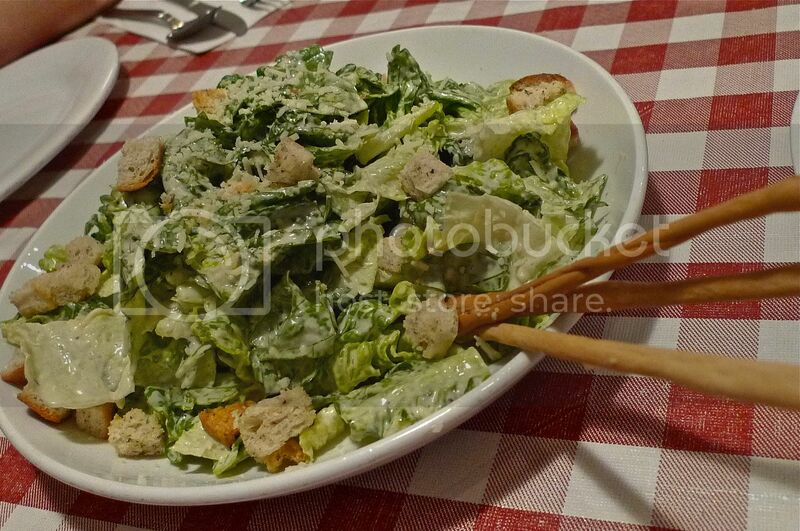 We ordered their Caesar Salad with toasted focaccia croutons to be shared amongst ourselves. 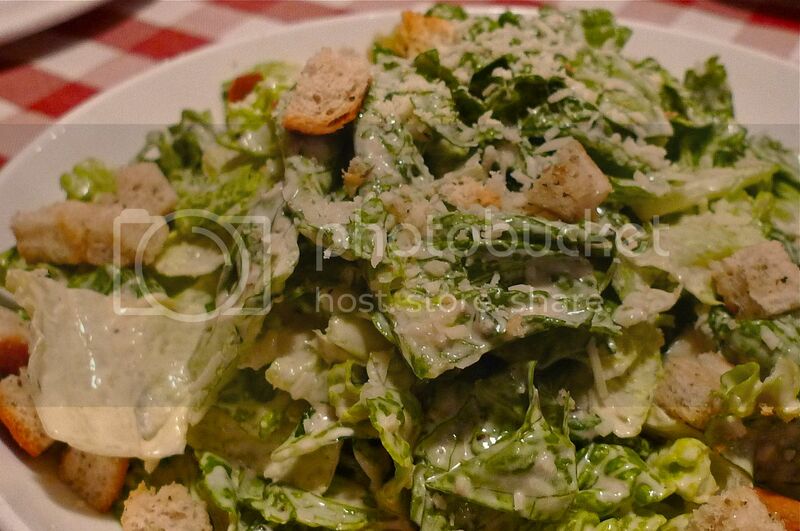 I love the crunchy croutons! Yum! 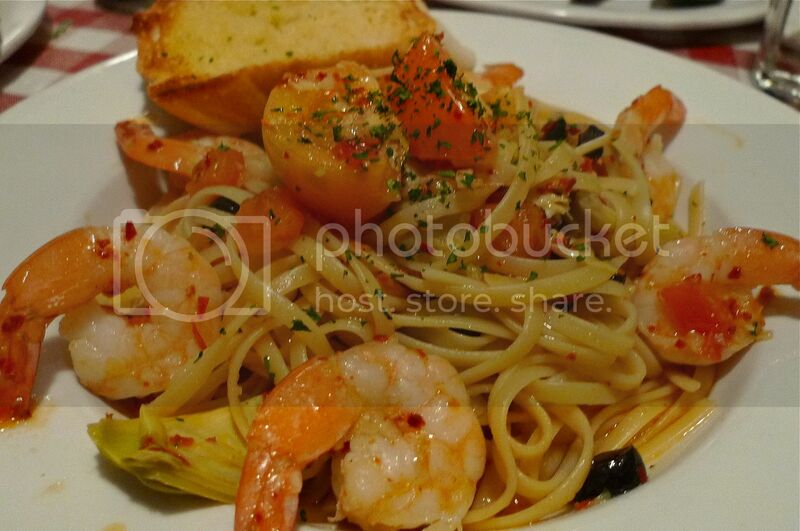 My parents ordered the Shrimp Aglio Olio. It comes with artichoke hearts, oven-dried tomatoes, black olives and garlic. Yes, the dish was quite large size, so my parents shared it! 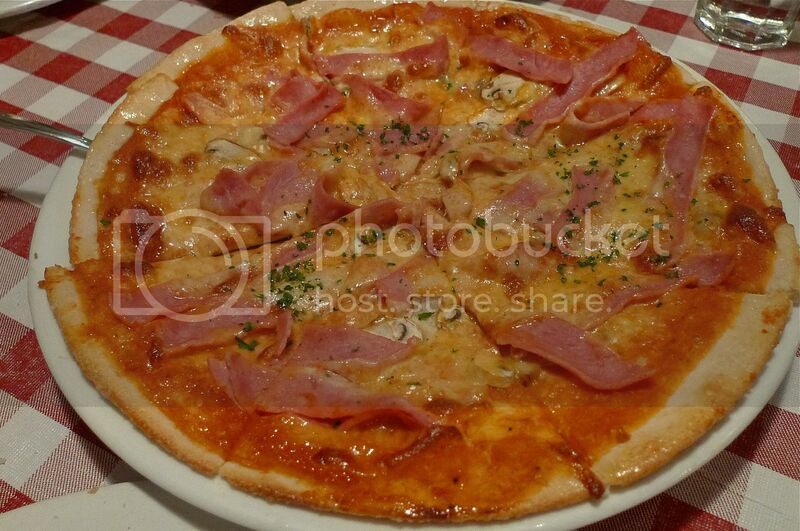 We also ordered their Ham and Mushroom Pizza to be shared together. The pizza was stated as a new addition to the menu although I did not know how new as I had not been to this restaurant for over a year! It contains tomatoes, turkey ham and button mushrooms topped with mozzarella cheese. I did not find it very nice, though. Just average. Let's just say I have eaten better pizza elsewhere! 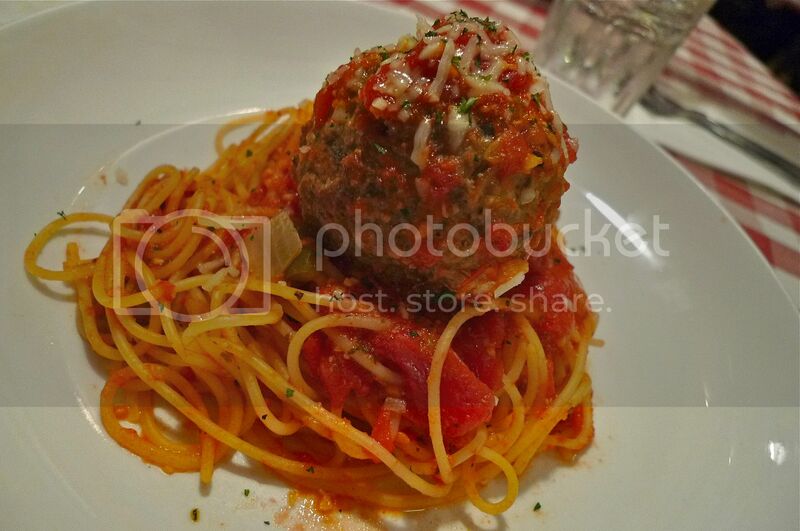 I did not know what to order but finally settled for this Spaghetti & Meatballs. Wrong move. Although the sight of beef meatballs and spaghetti drenched in marinara sauce sounds appetizing, what I had was too dry for my liking. Oh well, I still finished it without a strand of spaghetti left on my plate! LOL! My brother and his wife shared this Seafood Cioppino. Seafood what? Never mind. 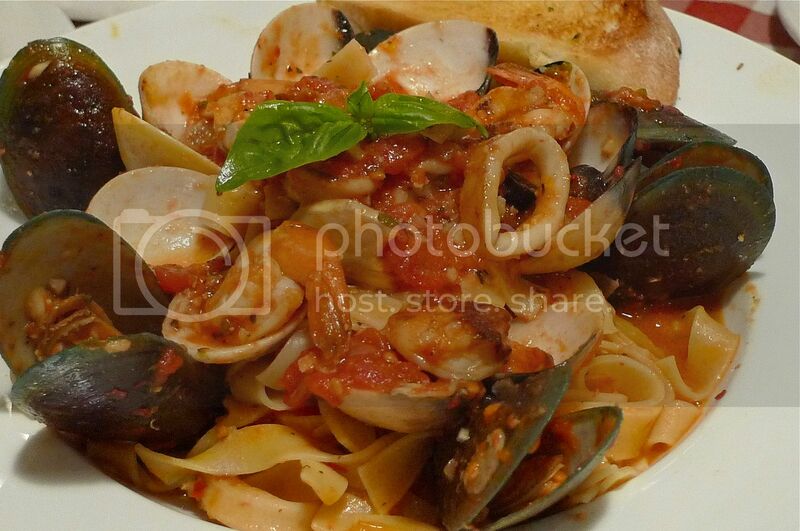 It's basically mussels, calamari, clams and shrimps sautéed in white wine and tossed in a spicy marinara sauce and served with fettuccine pasta. Do you notice everyone shared their meal except me? Damn, am I a big eater or what?! As for drinks, it was just plain water for us. Why waste money right? Drinks are simply not worth it! Better use the money to go for ice desserts at Snowflake! Haha! Meet The Sumo Wrestlers In Terminal 21 Bangkok!